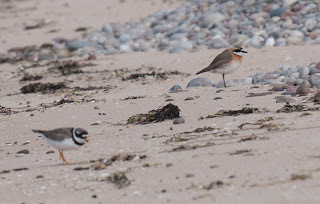 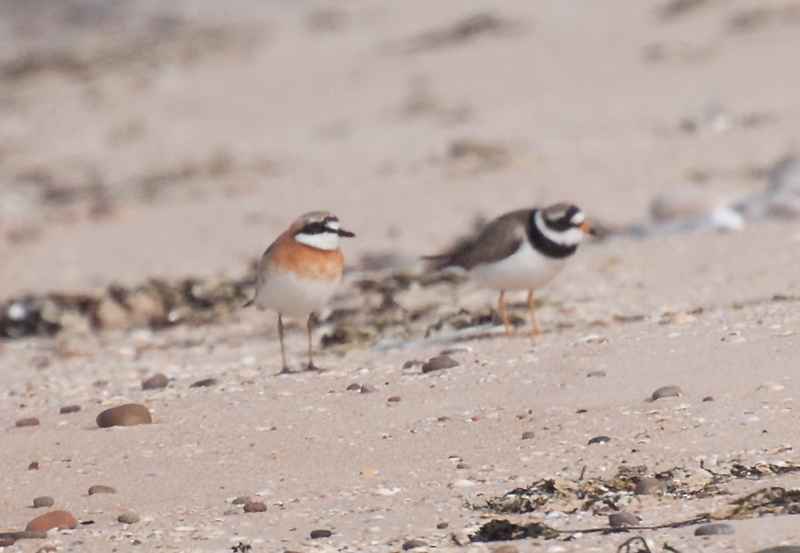 Margaret Sharpe photographed this summer-plumaged male MONGOLIAN PLOVER on Lossiemouth Beach (Moray) last Tuesday, as it fed beside Ringed Plover. 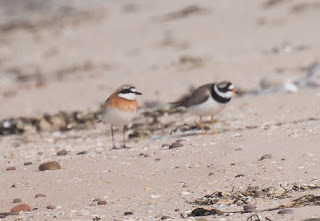 This represents only the fourth British record of this recently elevated species by the BBA/UK400 Club - the previous records coming from Bridge of Don (Aberdeenshire) on 18-19 August 1991, Keyhaven Marshes (Hampshire) on 22-26 July 2003 and in Aberlady Bay (Lothian) on 8-9 July 2004. This stunning bird may well make its way further south down the East Coast.